Nasir El-Rufai has alleged that the Peoples Democratic Party (PDP) hired supporters from Nigeria republic for their rally in Sokoto state. According to Premium Times, the Governor said this while launching his campaign committee in Kaduna on Tuesday, December 4, 2018. The PDP held its presidential rally in Sokoto state on Monday, December 3, 2018. El-Rufai said PDP had to get people from Niger to attend the rally to prove that they have supporters, because Sokoto residents refused to attend. The Governor also vowed to deliver Kaduna state to the All Progressives Congress (APC) during the 2019 general elections. Thieves have ganged up against President Muhammadu Buhari. Yesterday (Monday) they (PDP) went to Sokoto for a rally and brought in people from Niger Republic. ”This was to show that they have crowd because Sokoto people refused to attend. 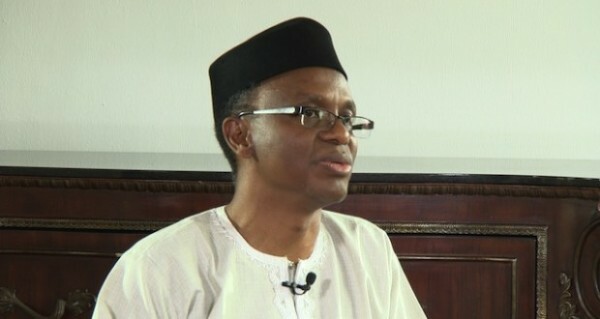 We will fight for every vote and persuade our people that you will only secure victory for the party you support when you vote on election day,” El-Rufai said. The PDP rally in Sokoto marks the flag-off of the presidential campaign of the party’s flagbearer, Atiku Abubakar.